Here’s what Sen. Mike Lee had to say about it: “…vile…. appalling…. The question is, ‘Why? '” Then Lee answered his own question. And this should be a wake-up call to anyone in America. In particular, I speak to my friends in Indiana…. 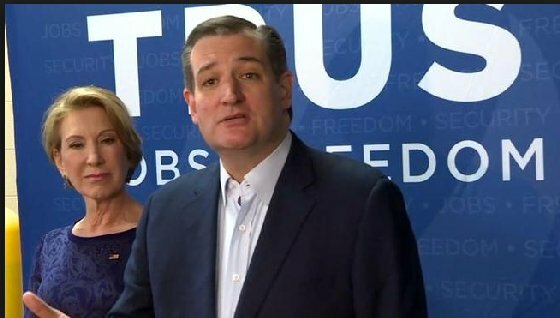 Please, please vote for Ted Cruz…. We have got to help make clear that Ted Cruz is the only man in this race who will actually fight against the Washington, D.C. establishment, because Donald Trump is part of it. A friend tells you the truth. And a friend does what he tells you he’s going to do. And a friend will tell you the truth, even when it’s difficult, and that’s who Ted Cruz is. I have never seen Ted Cruz engage in any of the despicable acts that I’ve seen him be the recipient of in recent weeks and months, and I’ve had it. I’ve absolutely had it. It is time to expose people like John Boehner…. They hate him because he’s railing against the establishment, of which they are a part…. In a sense I’m grateful to John Boehner, because John Boehner has exposed the truth here, in a way that is far clearer… than I ever could. He’s done that by saying, yeah… Donald Trump, he’s great. I text with him; I golf with him. Hillary Clinton, she’s great. Bernie Sanders, he’s great. But Ted Cruz, he’s the devil. Why…? The why is exactly what we need to focus on. The why here shows us why we have to elect Ted Cruz as our next president. The why is because Ted Cruz believes in the Constitution. They don’t want to be stuck with that, because that makes it harder for them to do what they want to do, which is to build and concentrate more power in Washington, D.C. at the expense of everyone else.